Kotlin is now the official language to write and build Android apps and this course is for anyone who want to be a Kotlin programmer from scratch. 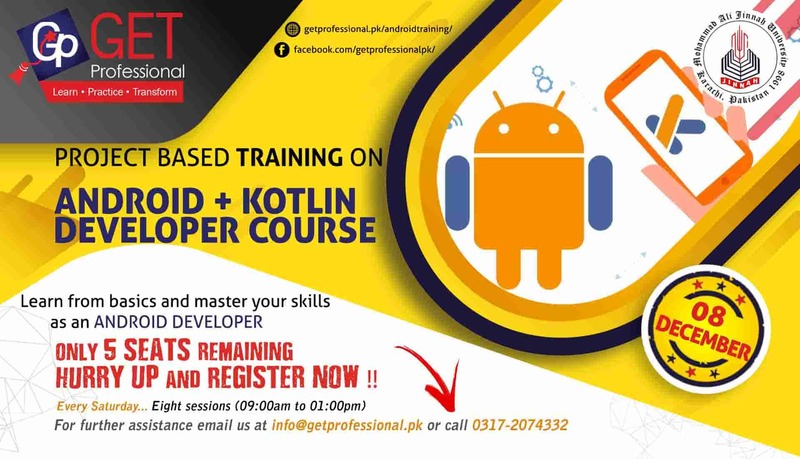 We will be covering every aspect starting from programming fundamentals using Kotlin which starts from installing the development environment followed by developing first Kotlin app. Understand how program flow works in Kotlin, understanding variables, Math operation and priorities, logic, making decisions, loops and how to work with files and functions. Kotlin is officially supported language for writing Android apps and open source since 2012. the major benefit of using Kotlin over JAVA is the brevity that Kotlin offers. Java seems quite verbose in comparison. 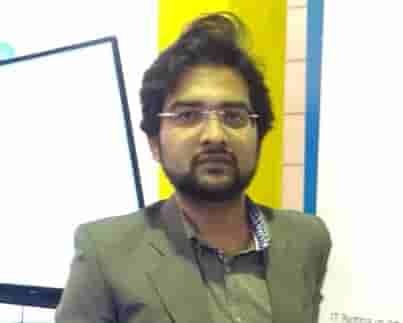 Brevity ensures that there are lesser errors in code. It also means a much faster rate of production. What impact will you have from this training? 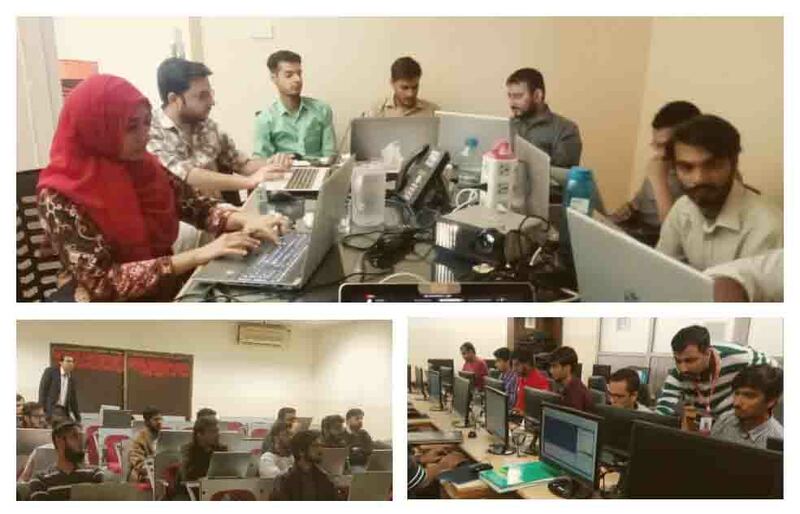 Owais has been training software engineers and developers to work with latest tools and technologies, including training seminars at APTECH and Karachi University. 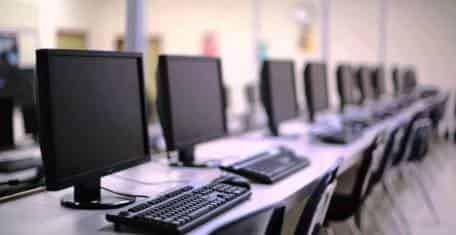 Venue: What is the location and facility for the training? Mohammad Ali Jinnah University has a state of the art and purpose-built training labs. MAJU has been chosen as the venue for an encouraging learning culture, as it is equipped with the latest training equipment and services essential for conducting training. Address: 22-E Shahrah-e-Faisal Service Rd S, Pakistan Employees Co-Operative Housing Society Block 6 PECHS, Karachi, Karachi City, Sindh 75400. The training will start from Saturday, 08th-December 2018, distributed over 8 sessions. Each session will be of 4 hours from 09:00 AM to 01:00 PM, bringing hours of 32 in total. The fees for the training is Rs. 20,000/-; Once you have filled out the registration form our team will contact you in the next 24 hours to provide payment instructions. We offer 25% discount if you are an early bird and register by Saturday, Nov 24th, 2018. The fees can be submitted to Admissions department of MAJU from 09:00 AM to 09:00 PM. Please contact on 0317-2074332 for payment methods. The payment is required at least 5 working days before the start of training. A practice exam is part of the training. The practice exam will be held at the end of the program with the aim to help participants work under real time constraints. GetProfessional will provide a certificate which will be a testament to your successful completion of the training.